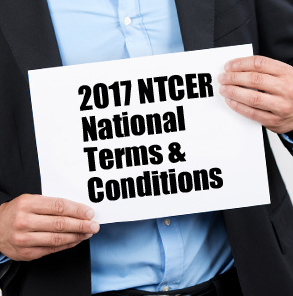 The National Terms and Conditions for the Employment of GP Registrars (NTCER) is current and still in effect. The current agreement has has an addendum added to reflect current base salaries and covers GP registrars in GPT/PRRT 1, GPT/PRRT2, GPT/PRRT3 and GPT/PRRT4. These terms and conditions have been accepted as fair and reasonable by GPRA and GPSA. Payment of conditions beyond those outlined in the agreement are a business decision, but not recommended. Training practices cannot employ registrars below the conditions outlined in the agreement. Finally as GP registrar wages are largely funded through a Fee for Service model, for sustainability, it is important that there are adequate patient numbers to cover these wages and associated on-costs. Getting an appropriate employment contract in place before your registrar commences working in your practice is an incredibly important piece of the puzzle. It’s what you and your GP registrar will return to if there is ever anything in question about their employment conditions. Getting this right is not always easy, so GP Supervisors Australia are proud to support our members with a copy of our employment contract template which has been developed to align with the National Terms and Conditions for the Employment of Registrars (NTCER) 2017/18, approved October 2016. If you would like a copy of the template, simply complete the registration survey here. Since the NTCER Agreement was signed we have received a number of queries during our webinars, through phone calls from members and consultations with Regional Training Organisations. We want you to be prepared with as much information and support as we can provide, so we have developed these Frequently Asked Questions. Have a look: you may find an answer to a pressing question or discover something you did not realise.